Isagenix Isalean is a product that is being pushed by a multi-level marketing company, and as a rule of thumb, are usually more expensive. The high price doesn’t always necessarily mean a better product, but there are some that actually quite good. Our editors found that at first glance, this is definitely one worth noting. The protein blend found here (vanilla) is not based on soy, instead relying on a hormone free whey concentrate that comes from New Zealand. The filtered protein isolation is done with organic materials, and doesn’t have a great deal of negative factors. This option definitely started good, but once you look behind the curtain, there are some things that could make one think twice. Fructose has come under considerable controversy as of late, more so is very high up on the Isagenix label (first ingredient after its proteins). What is it? It’s a monosaccharide (simple sugar), the body can use for energy. Because it does not cause blood sugar rise tremendously (has a low glycemic index), it was once thought that fructose was a good substitute for sucrose (table sugar). However, the American Diabetes Association and nutritional experts have changed their minds about this. When too much fructose enters the liver, the liver can’t process it all fast enough for the body to use as sugar. Instead, it starts making fats from the fructose and sending them off into the bloodstream as triglycerides (you can actually gain weight). 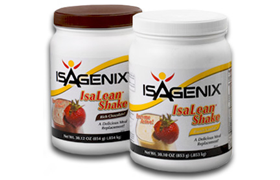 With a good protein blend, and a derived source that is organic and not based on soy, Isageanix Isalean is definitely a good overall option, however, with the high sugar and sodium ration involved and 240 calories, and fructose so high up on the label, it is not one of the best meal replacement solutions available today. Been a long time user but I have to say this stuff is getting difficult to afford! I’m a trainer and dedicated to top shelf ingredients but I have to say the serving size for this shake is a joke (you need like 2 heeping spoon fulls just to get one serving) which makes the taste chalky! More so it has Fructose top on the label! (right after it’s proteins)… this basically tells me this shake has way too much sugar. May need to move on. I been using Isagenix for 6months now and have lost 15lbs without doing much different in my daily lifestyle, which includes eating a lot. 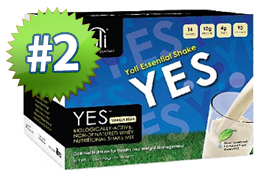 I recommend this shake! I’ve been on shakes for many years and Isagenix is the best I’ve used. One of the things that hurts is the price. It is rather expensive, but I guess you get what you pay for right? 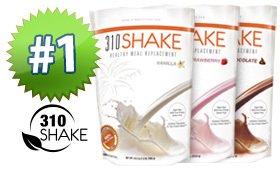 I now use 310Shake which taste better and I’ve had the same great resultes, keeps me full for an hour longer! It’s good, and almost half the price. If price was not an issue I’m not even sure I’d stick with isagenix at this point. I have worked for GNC for over 4 years. I have used this pducort. It DOES work. I have used more supplements than 90% of the people I run into.﻿ I have been working out pretty hard for a year and a half. 2 years on and off before that. I am personally vouching for this ***t. Taking this, I have had more gains in the past 6 weeks than my two workout partners combined. Try it out. Get it from GNC. We have a 30 day return policy. Even if its OPENED. You can get your money back If it doesnt work! This shake might be the greatest ever but I would never buy and MLM product. period. These people sell the stuff, what do you expect them to say? Multi-level marketing is all a scam. Eat right and exercise, plain and simple . Have been using for 5 months and even my Blood Work has come back excellent. Upon investigating this MLM they actually putmore money into scientific research and if sold into the corporate world it would be the Walgreens and Walmart who make all the profit not the consumers not to mention the product would probably cost double the amount. Do your own due diligence and investigate. I noticed a couple discrepancies in the table above: 1) there are no artificial flavors or sweeteners in Isagenix. 2) There are 24g of whey protein per serving. Another point I’ll mention is that Isagenix employs 26 FULL TIME scientists. They are working on Nobel Prize winning telomere research. So just because the profits go to the users instead of the big box stores is no reason to question their R&D. been doing this whole program for about 9 months, I have never felt this amazing in my entire life. love the products so much we now started our own business helping people get healthy and make money from home while enjoying these amazing products. hi! i have been on isagenix for 3 months and ive lost just over 20 lbs. this produt is absolutly amazing. i have tried weight watchers, herbal magic, LA weighloss and herbalife. sorry, i got cut off? back to the south beach diet is still over 800$ a month. How do you feed a family of four on 1 milkshake? On my budget that is all I can afford per meal to feed my whole family, so at $6 per shake per person that would be $36 per meal. That is expensive. How do you make it work? Isagenix saved my life! In 2008 I lost 80 pounds on the stuff. I do it Every February, now- to lose the weight and CLEANSE for a month. Drinking Nothing but water for the duration. I was skeptical about cleanses and shakes but 5 friends swore by Isagenix and I needed to lose the last 6 pounds and was finding it almost impossible. I ordered through a friend and after the cleanse I weighed 6 pounds less, had less swelling and puffiness and my knee pain that had bothered me for 10 years was completely gone. I started racing my daughter to school (at age 54) and had the body of a 35 year old. I figured the weight would come back after I started eating again but I loved the shakes so much I continued having them for breakfast every day and lost another 2 pounds. Back to my 25 year old fighting weight and healthier than I had ever been. Also very convenient since I had to get my then 5 year old to school on time. They’re great for lunch too when you get too hungry to wait to make lunch. The snacks also help stave off hunger until you can get to a healthy meal. One of the things I like best is they’re not overly sweet so you can add fruit. Better than looking much younger, I feel much younger! By the way, for those concerned about buying from a MLM company, they have the same integrity as any other sales people. Some make false claims and some don’t. The actual product is what’s important. You don’t pay more because the distributor gets commissions. After all, your local store has to pay overhead, salespeople and shipping to the store. They also have to pay for advertising. An MLM pays commission to the sales team instead of advertising, shipping is usually direct to the customer and there is no additional overhead since they don’t have stores. Think about it. Read the ingredients and judge for yourself if the product produces the results claimed by the distributor or advertising. If you don’t do that you do not have enough information to make such judgmental and inaccurate remarks. I am not involved in MLM sales so I am not biased either way. I love Isagenix. I agree that something is very wrong regarding the fellow who spent over $1000 with mo result–I’m always overly skeptical but –It started on this program when my son came home for the holiday–I noticed an incredible change in him for the better –glowing skin muscle tone, changed body chemistry –I signed on the same weekend the last 3 I’ve lost 15 pounds. i feel better than I ever have in my adult life –site–I would like to see more scientific verification as to why certain nutrients work in a certain way rather than just claims that ” this product does such and such” –Going in now to have my healthy 600 cal dinner!! I have been on this program since Monday and have lost 5 pounds and 14 1/4 total inches so far. I am EXTREMELY pleased with Isagenix! Isagenix 30 day program is amazing 9 days in I’m full of energy, and 13lbs lighter. 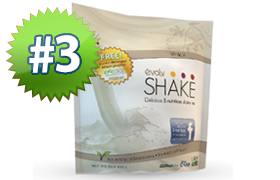 The vanilla shake is delicious the best I every tried. I also have their cleansing for life product berry flavor this is unreal just tastes amazing. Been using Isagenix for years but my doctor said I really need to cut down on my sugar intake for many reasons. I told my doctor that my shake has fruit sugar (Fructose) vs real sugar and he laughed at me.. Said it was just as bad if not worse. I’d really like to see Isalean use a stevia, agave, or something more natural for a sweetener! I’ve been on Isagenix for 5 weeks with 1.5 of those weeks away on vacation where I used the berry shakes for breakfast and lunch. The first 2 weeks I lost 9 lbs, gained 4 lbs. I’ve been concerned about the fructose right from the beginning, and what adverse affects it may have in the long term. I’ve grown accustomed to the awful sweet aftertaste of the berry shakes, and no, I don’t look forward to them each day. Everyone’s taste is different and I struggle to drink the cleanse for life, as I gag and have to work at not throwing it back up, but I persevere. I have not lost any more weight and never lost any inches. I will not quit, but will find the money for the next order for 30 more days. I’m desperate. I have been on and off with Isagenix since 2004. in 2013 Memorial weekend I was weighed at 209 Lbs. My buddy challenged me to loose the weight. He was on some program and I choose to go back to the 30 days program from Isagenix. Oh boy, the first 4 days was tough as I was having a withdrawal from the coffee intake i used to have each morning. but now I am at 184.4 Lbs. I eat whatever I want. Hence I do try to eat healthy as much as i can. but I still enjoy what I eat. this is what i love about Isagenix and it worked for me!. I dont really care about the MLM program… i only using the Isagenix becuase my body accepting it. Go Isagenix! 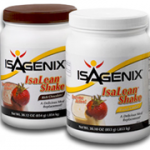 I just wish Isagenix would make more flavors choices for the shakes…. Natural sugar is much better than the other products like Advocare offer. Their shakes have Sucralose in them which scientists and physicians will now tell you is worse than just sticking to sugar.